When you add folks to your Cerkl, they automatically receive a lovely on-boarding or "welcome" email. The subject line of this email reads, "Let's Get Personal" and invites your subscribers to personalize your Cerkl newsletter. They select categories that they want to hear more and less about, their ideal send time and frequency, and desired newsletter format. Once they complete this quick process, they are officially on-boarded. Subscribers who haven't personalized will still receive your newsletters, they'll just receive them at your organization's default time, frequency, and in your layout as opposed to a personalized format. 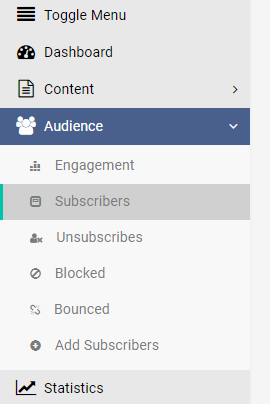 To view which of your subscribers are on-boarded, just go to Insights > Audience > Subscribers. Those who have on-boarded will have their on-boarding date displayed. Those who haven't yet personalized their profile will simply have [not onboarded] displayed. 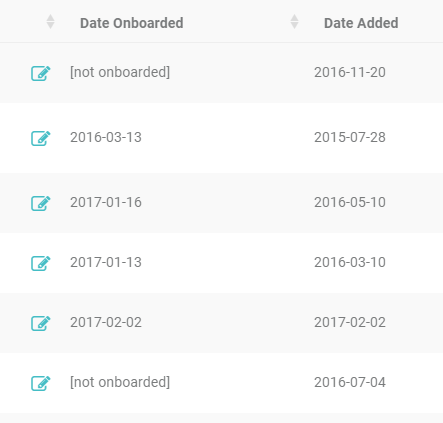 But not to worry, these non-onboarded subscribers are still receiving your emails! In fact, we are still learning about your non-onboarded subscribers with our awesome machine learning capabilities. You can reach out to these subscribers by periodically resending the welcome email to those people in your audience who haven't personalized your Cerkl. For more info on how to re-send the welcome email, read this article!